Kylie Jenner might have a hot-and-cold relationship with on-again-off-again boyfriend Tyga, but regardless, Kylie is one spoiled girlfriend. Tyga seemingly never fails to make grand and expensive gestures to prove his love. The reality superstar and makeup mogul seems has received everything from luxurious cars to expensive bling from her man. 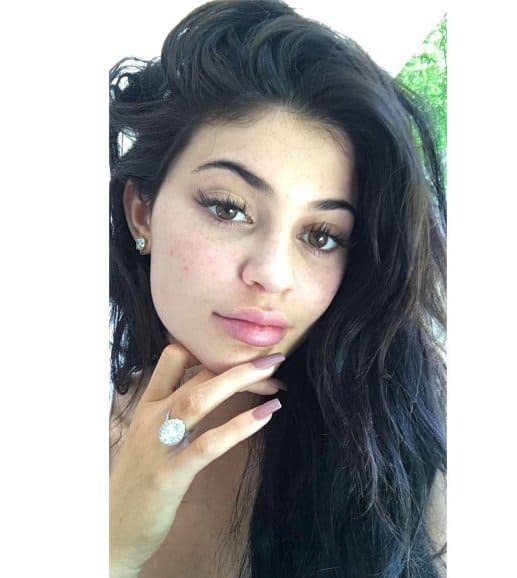 One of Kylie’s latest gifts to make headlines was a massive diamond ring. The oval-shaped ring was given to Kylie during Christmas last year, and many speculated that it was an engagement ring. 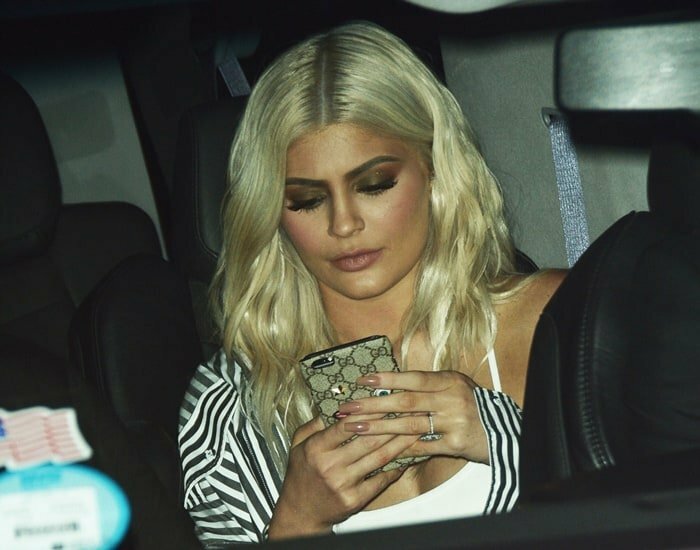 Kylie’s been seen wearing the ring over and over again during major appearances and casual off-duty days. Recently, Kylie finally used her Snapchat to reveal that the piece isn’t an engagement ring, but rather, a promise ring. 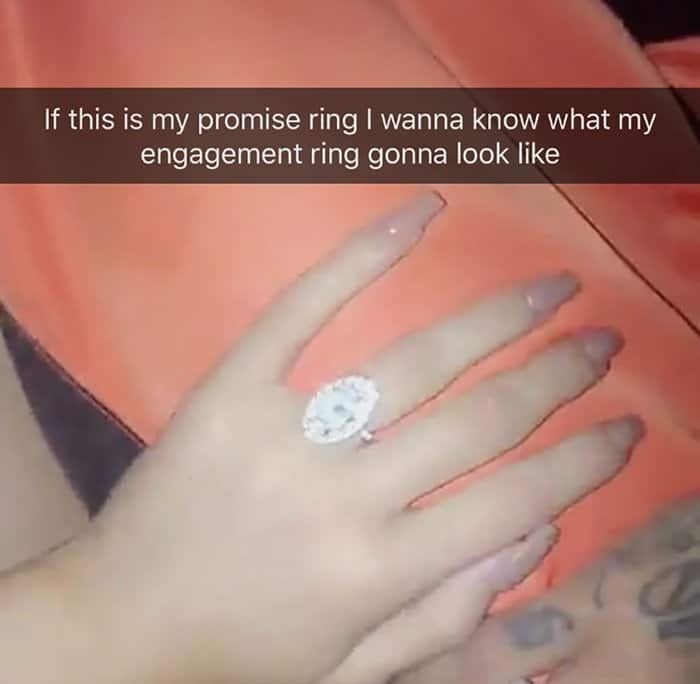 The newly platinum blonde 19-year-old starlet shared a photo on her Snapchat captioned “If this is my promise ring I wanna know what my engagement ring look like.” We’re definitely looking forward to see that too!